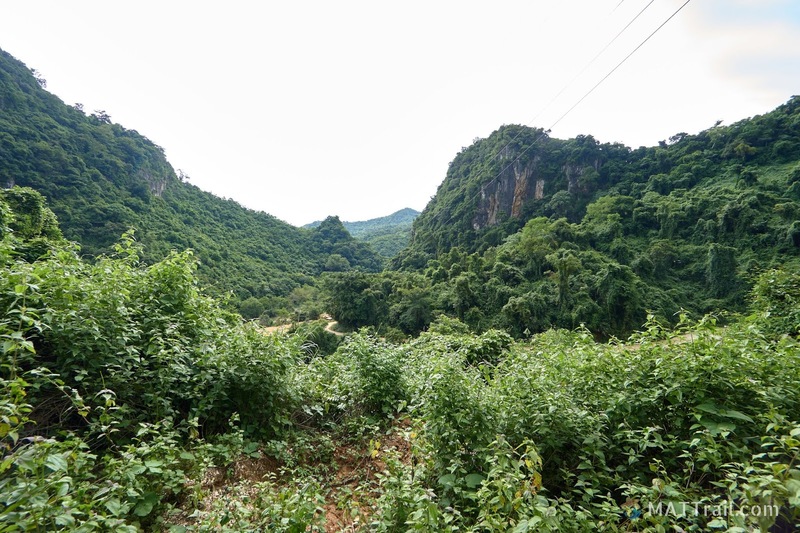 Laos is full of smiling and friendly people, wild nature and holes on the road. This beautiful country seems to be a forgotten by tourists, that is a pity. 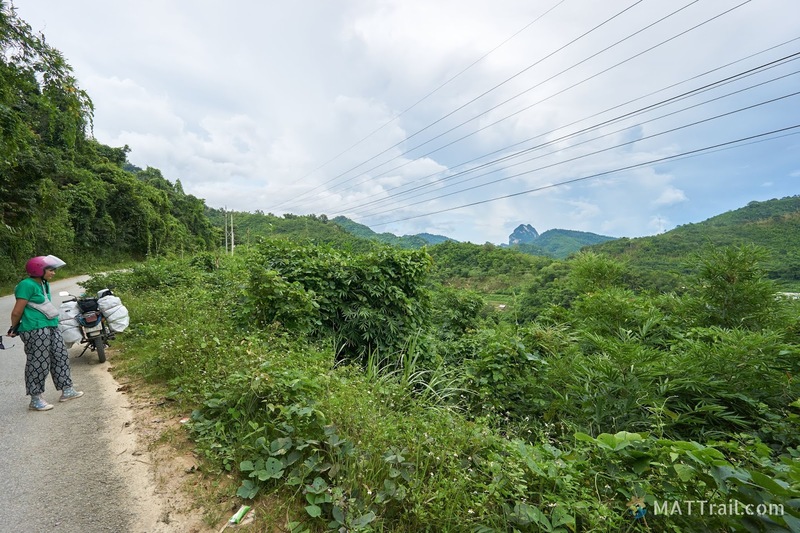 We travelled several hundred kilometres on a motorbike in the Laos. The roads are very winding, mountainous, so they are a bit dangerous. Nevertheless, the landscape is wonderful. 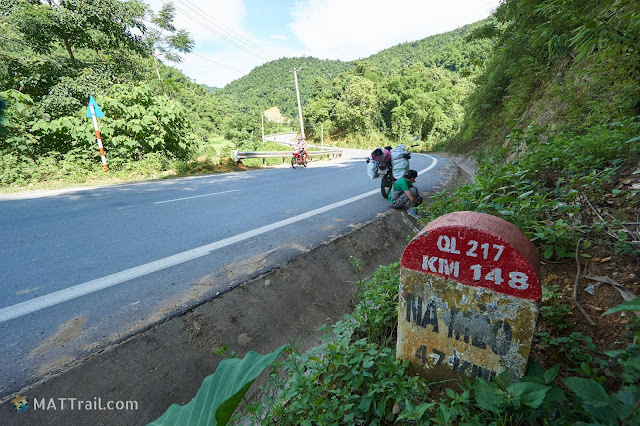 For motorcyclists, Laos is a paradise, but how to get there by motorbike? The plan was: buy a motor in Vietnam and go to Thailand through Laos. Motorbike's documents are not on us, because they can't be. Are we going to have problems at the border? How to cross it, what documents should we have? Keep reading, the answers are below. 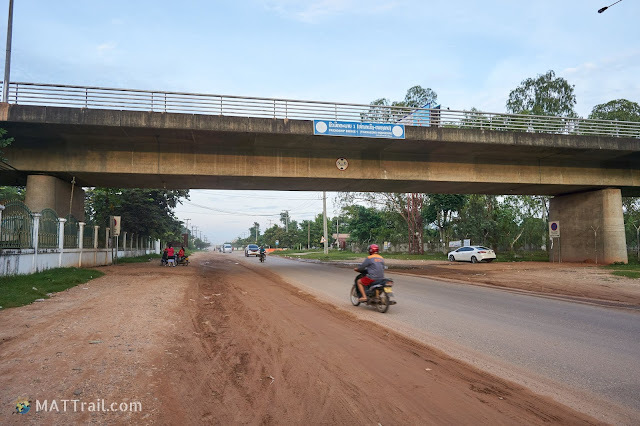 Finding all border crossings in Laos may be difficult and time consuming. Below I share with you the map of all border crossings with Vietnam and Thailand. At the border customs officers can make a problem or not. It depends on who you meet there, what is his current mood, etc. If you fail, you can try at the next border crossing. You must remember that the next border crossing may require one day getting there. We were lucky because we passed the first border without any problem. Nevertheless, we were prepared. First, we collected all the information about border crossing we could. Below we present the results of our investigation, i.e. the relations from other travellers. These are not our experiences. The situation changes over the time, so you should better verify the current status. At the border you must have a passport, motorbike registration certificate. The visa can be bought at the border crossing. It officially costs $30, but often it is required to pay more, usually it is between $40 - $50. At the border you have to fill in a standard print, where you enter your details, destination, location in Laos, etc. For the motor you need to fill out the print for import / export. This is just a formality and costs only a couple of dollars. This document will be needed when leaving Laos. They don't let you out from Vietnam with motorbike, but coming to Vietnam should be without any trouble. Entering Vietnam costs $35 - $40 for the visa plus 30 thousand LAK ($3.5) for Laos. There is a small chance that they let you out with motorcycles when you have a local registration number, so it should be 27. As a rule, you have to pay a $20 bribe plus $45 for a visa. Some managed it for 200,000 VND ($9) plus 25,000 LAK ($3) and $30 for the visa. You have to pay 200,000 VND for the departure of the motor, for entry to the Laos you pay 75,000 LAK (9 USD). With our motorbike Honda Win 107cc we arrived at the border at 11:30. We have one motorbike for two persons and to big backpacks mounted on the sides. At the border, the soldier told us we should return at 13:30, because everyone is sleeping now. It seems that the siesta is in the entire border town, not only at the customs office. We came back at 13:30. We don't have any problem at the Vietnamese border. At first, we go to the further room. In this room a bike traveller is being arranged. The custom officer asks us for the motorbike documents, then he orders us to move to the next room. I need to complete an export document, pay 200,000 VND ($9) and we can go. At the Laotian border we are served by a civilian woman in the window. We have to fill in a standard print, where we mark the purpose of the visit, length, place of residence in Laos, etc. We pay $40 (official price $30) for the visa, the woman pastes it in our passports. In the meantime, a bus full of people arrived. Then a senior soldier serves us. He has three stars when the others have only two. He told me to drive the motorcycle inside, but he does not want to lift up the barrier, so I have to squeeze. I hit with one of the side backpacks that damaged the bottle of water. Suddenly all the water was going out. Soldiers and workers wave me to go further, so I am going further to the parking behind the building to fix the issue with water. The senior soldier came to me. He is angry, because I should to wait there and then go to the right window. So I'm going back to fill the import document for the motorbike. Only my personal information and basic details of the motor are required for the document. Nothing more is needed, like a driving license. You need to pay 25,000 LAK for this document or $3. When finished, we can continue our trip. Ania, dismantled our backpacks from the motorbike to sort out the issue with pouring water. I prefer to leave this place quickly, but we can't, because she made one big mess at the parking lot at the Laotian border. We quickly pack everything back on the motorbike and continue on the Laos side. Info is different. Some travellers managed to cross the border without any problem. They sometimes may not allow motors from particular regions, e.g. from Hanoi. There is also contradictory information at this border crossing. Some people passed, others had to turn back. Probably it is not a typical border crossing. It looks like it is reserved for trucks. However, it is worth trying there, because apparently they do not make problems. Not everyone recommends this border crossing. Most of them managed, but for a littlehigher price, $35 for the visa plus 5,000 VND ($0.5) for a stamp. A friendly and trouble-free border crossing. At the Laos side, you need to pay $3. 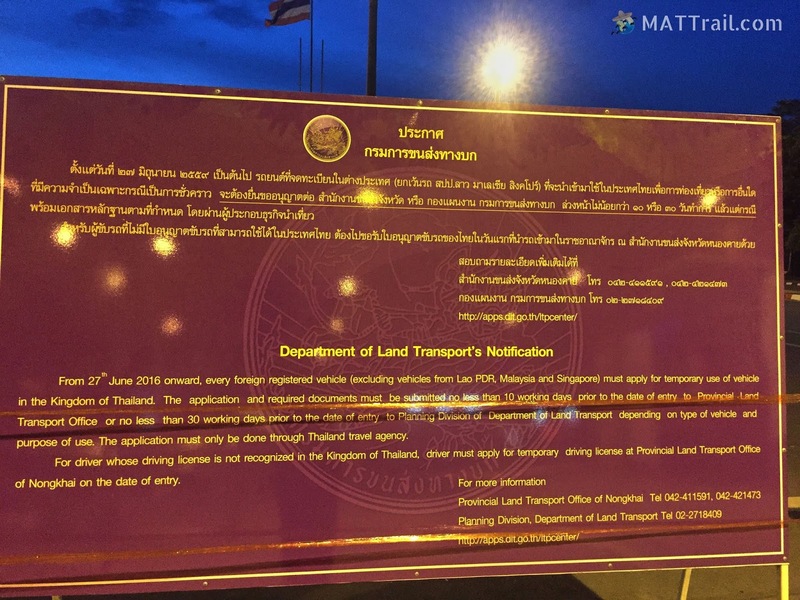 In June 2016 Thailand has introduced a law prohibiting entry of motorbikes and other vehicles from other countries except vehicles from Laos, Malaysia and Singapore. As a result, you cannot enter the motorbike from Vietnam. This can be done by arranging the relevant documents at least 1-2 weeks in advance. However, in this case, it is better to have the motorbike registered on your name. We weren't able to cross this border. We tried on two border crossings, on Nong Khai / Vientiane and Bueng Kan / Paksan. We were also in the Thai consulate in Vientiane, but the only person who spoke English was not aware of such rule. As a result, they did not help us. We also tried to replace our motorbike with a motorbike from Laos. These attempts also ended in failure. Due to the fact that we had to get to the Bangkok, because we had a return flight from there, the further journey couldn't be continued on the motorbike. 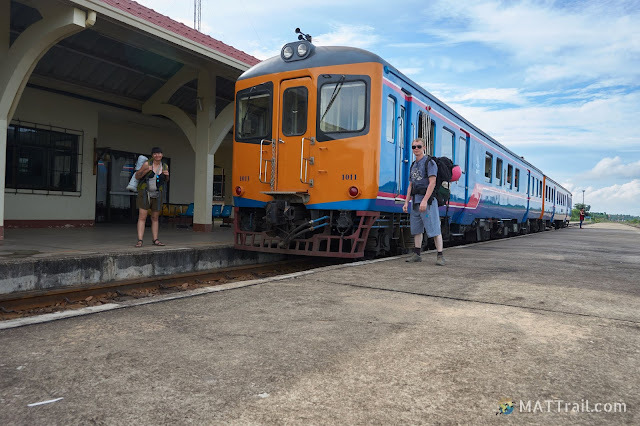 We finally crossed the border between Laos and Thailand by train. There is a special train station close to Vientiane in Thanaleng. 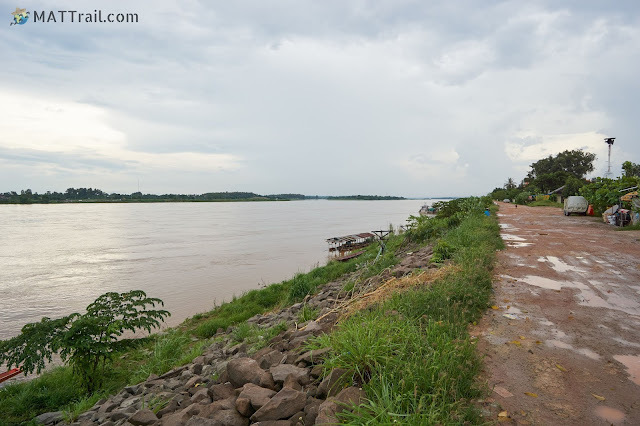 From there we can go only to the other side of the Mekong river, to Nong Khai in Thailand. First, a passport check at the train station in Laos. After moving a few kilometres, we have another passport control by Thai customs officers at the final stop. 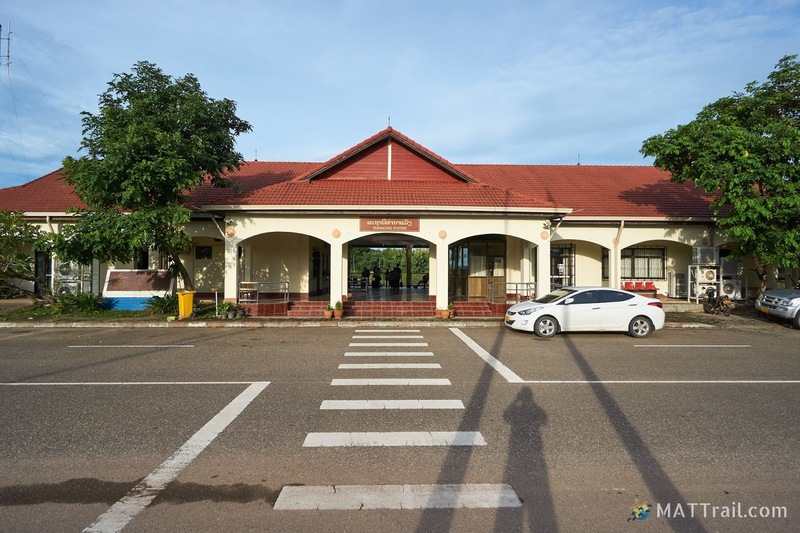 The train station is outside of the Vientiane. The easiest way to get there is through a travel agencies operating in the backpackers' quarter in the city. The transport may be also arranged directly by your hostel. 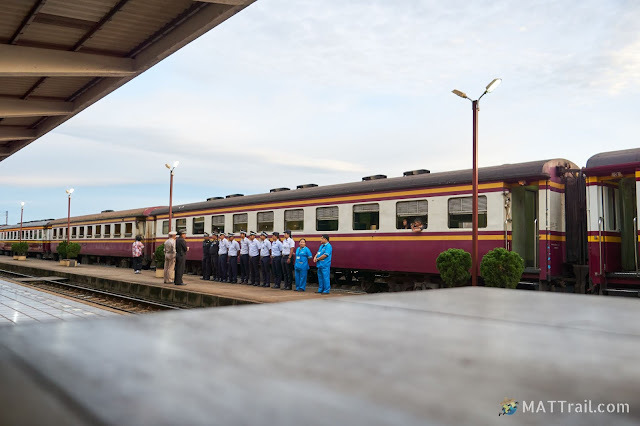 At the appointed time, the driver comes and takes passengers to the train station in Thanaleng. However, there should not be a problem with crossing the border to Thailand as long as the vehicle's documents are fine. I invite you to describe your experiences with border crossing in the comments.